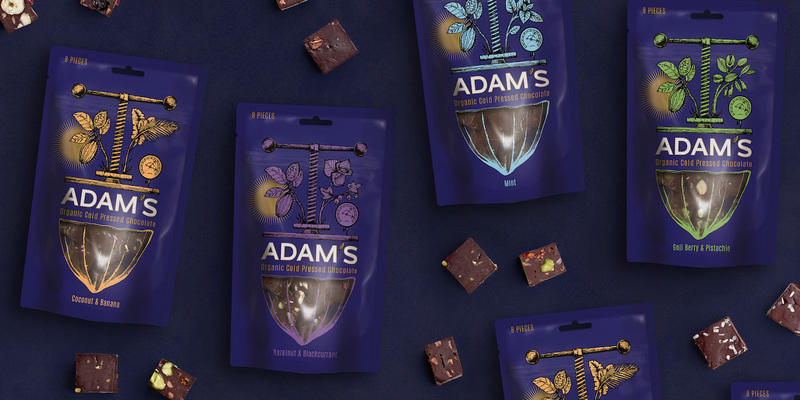 Seed Fund winners Adam’s Raw Chocolate have been working with The Collaborators to launch a new brand of organic cold-pressed chocolate. 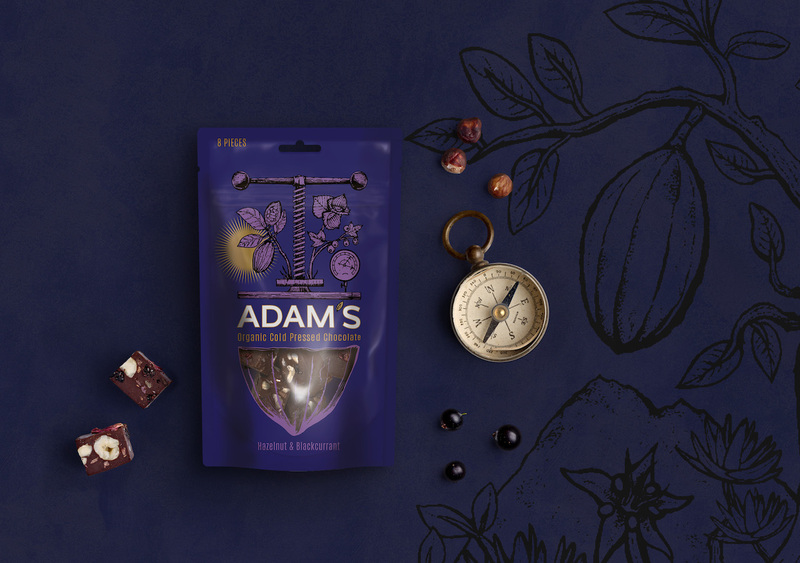 Finely crafted and packed with exotic raw ingredients, the brand required a sophisticated design to support its premium price tag. 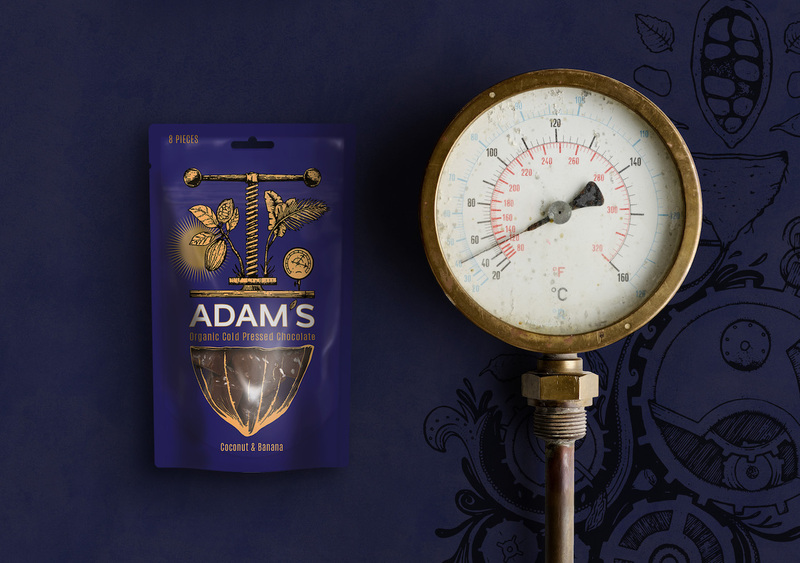 The design team used an antique press to form the focus of the pack with the rare Criollo tree growing lushly from one side and ingredients specific to each flavour sprouting from the other. 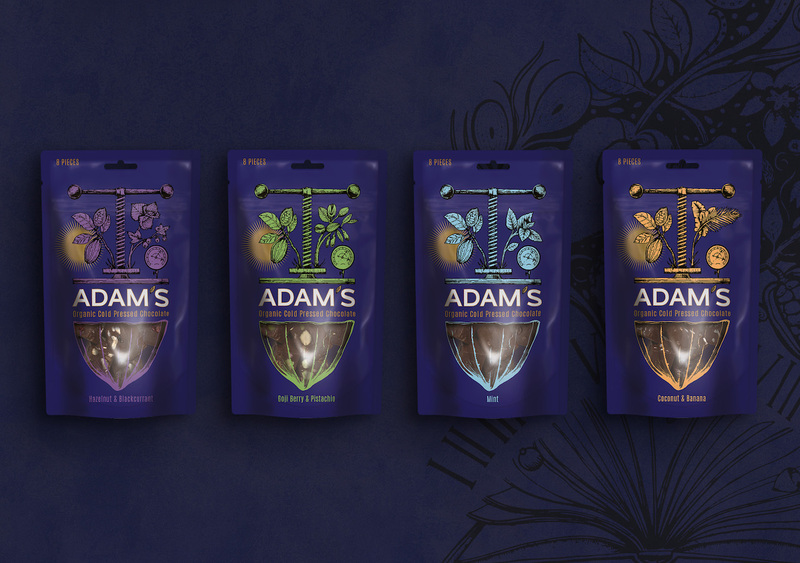 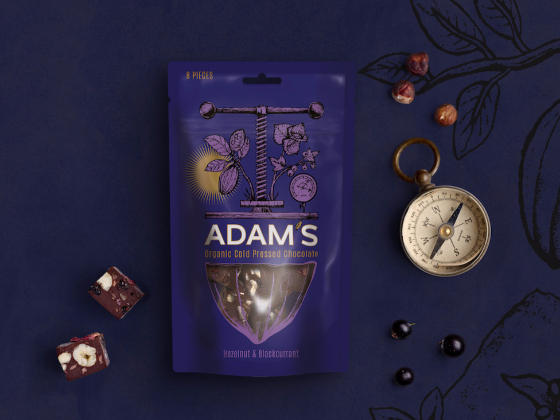 The concept denotes these bold mineral-rich foods being compressed down through the Adam’s brand name to create the carefully cut squares of chocolate, glimpsed through the cacao pod shaped window. 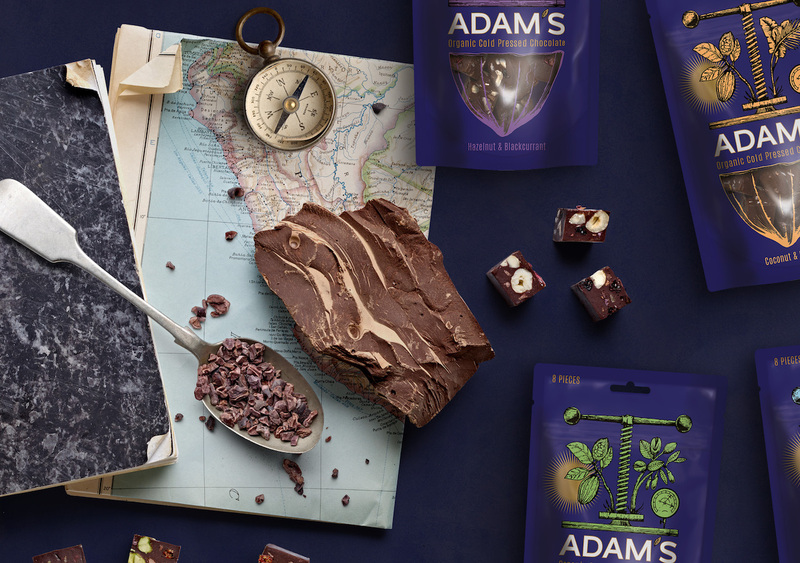 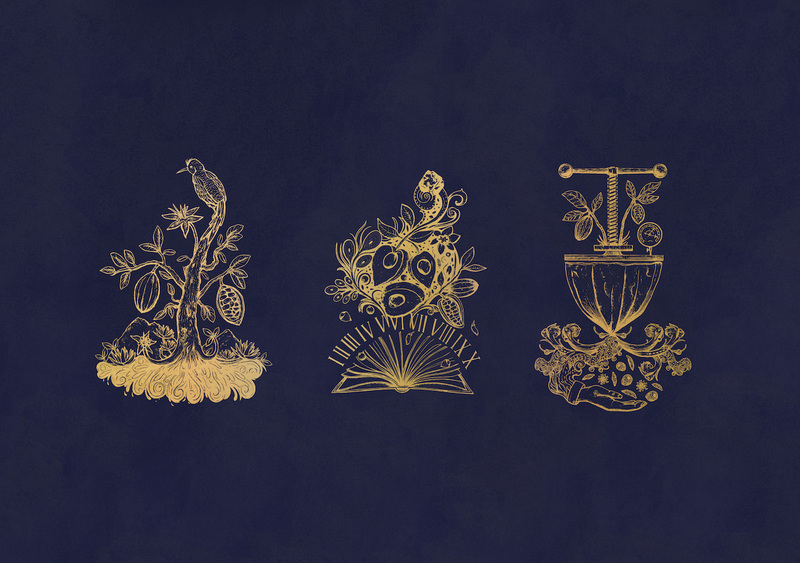 Hand-etched illustrations were created in-house at The Collaborators and appear on a dark backdrop of all-encompassing colour to represent the intense flavour hit and luxurious rich texture in every bite.